Edward Bullano has been helping people make informed investment and insurance decisions since 1985. 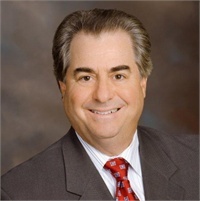 His career began when he began working for a large natonal insurance company, then managing his own independendent insurance agency, The Ed Bullano Agency, then working for a large national brokerage firm, culminating with him joining LPL Financial in 2014 as a Wealth Consultant. His engineering background along with his Master of Business Administration degree has enabled him to achieve a proficiency in the financial services field. His goal is to inform, educate and implement a wide range of wealth strategies for various clientele. What distinguishes Mr. Bullano from others in his field is his dedication to quality service. He will ask the proper questions to create the logical framework to help you work towards your goals and objectives. Edward is determined that you have the answers for family risk management, pre and post retirement and legacy planning. Ed has lived in Richmond, VA since 1984, helped raise and college educate three children and has volunteered his time and talents for various events. His enjoyment includes golfing, fishing and a social bocce night. He can be reached at edward.bullano@lpl.com or mobile cell at 804 919-0459.